Wood windows cost $300 to $1300 or more per window fully installed. There is a huge price range here, although consumers should be able to get a good wood window for $600 to $800 full installed, assuming you can resist some of the really high end components and upgrades such as metal hardware that can quickly up the replacement window costs. There are some amazing wood clad windows out there with fancy names like the "Cyprium Collection" that are extremely expensive and out of reach for most consumers. This doesn't mean that homeowners who have their hearts set on wood windows can't find a nice looking option at a decent price point. One way to keep the per window cost at a reasonable level is to resist the urge to go with all of the fancy upgrades such as metal hardware that can add significant costs when you are replacing 20 windows at a shot. Consumers who are still in the research stage should check out our vinyl or wood windows page to see how these two popular frame options stack up against one another. 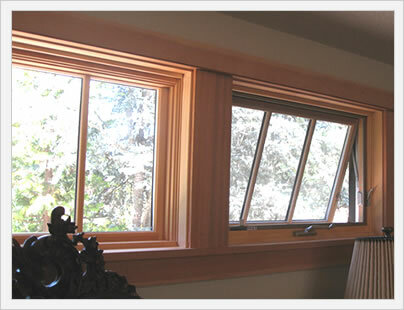 Budget wood windows will range in price from $300 to $550 fully installed. When it comes to wood windows we would advise consumers to either switch to a different frame material or try to stretch into the low end of the mid range price point. We don't have many recommendations in this price range because a cheap wood window will most likely deliver poor performance and lack the design and workmanship that will off long term value. 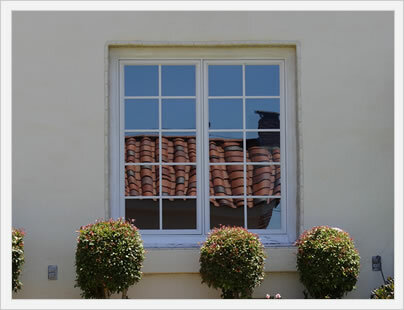 For better value, consumers may want to consider a mid range fiberglass or vinyl window instead. Mid range wood window costs will run $550 to $800 fully installed. It's this price range that should offer consumers a nice looking window with good features at a reasonable price point. If you sacrifice hardware and some other bells and whistles, you may be able to get a top wood window and still stay in this price range. A couple of recommendations include the Marvin Integrity window and Andersen 200 series window. High end wood windows run $800 or more full installed. There are some really pricey options here such as the Andersen Architect Series or the Loewen Cyprium Collection that can run $1500 plus per window. There are also some more affordable options that also offer excellent value. Here is our top five wood windows at or below $1000 per window: Marvin Ultimate Series, Andersen 400 Series, Kolbe Latitude Series, Hurd H3 Series and the Pella Architect Series.